Sir Paul McCartney's £10,000,000 mansion in London is burgled! 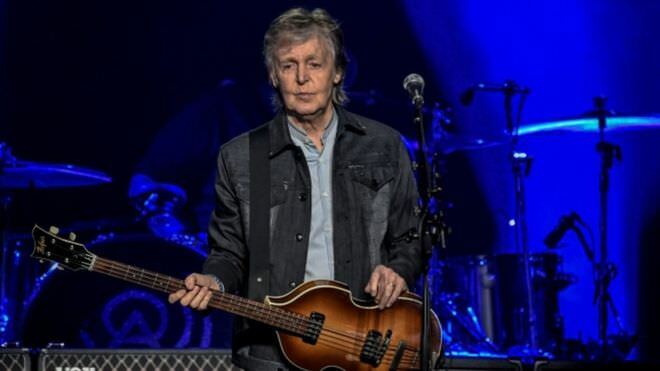 Sir Paul McCartney who is a famous musician and ex-member of The Beatles, aged 76, has been targeted for a large burglary in his £10 million Mansion in the London neighborhood of St John's Wood, days before his much-anticipated homecoming concert in his native area of Liverpool. It is currently unknown whether or not Sir McCartney or his wife, Nancy Shevell, were in the London mansion at the time. Scotland Yard confirmed that police were called to the home on McCartney's street "shortly after 18.20 on Friday, December 7th, following a report of a break-in. ", they also added that the officers "attended and identified signs of a forced entry to the premises". It is known that no arrests have been made to date as authorities continue to investigate the possible suspects of this case. A neighbour of Sir Paul's said that there were 'blue flashing lights' and cited that there were 4 or 5 police cars around the house. They also said that all the lights were on the house and that the police were very efficient and all over it. Others who had claimed to see Paul on the street previously said that McCarney tried to do his best to live a normal life whilst in London and some claimed that he walked around without any protection and participates in chats with the public, they also confirmed that Sir Paul had cameras around his house and added that he had to be careful due to what happened 38 years ago to the day McCartney got robbed in which John Lennon got assassinated in Manhattan. It is also not the first time a Beatles member has been targeted by pure theft. George Harrison and his wife were also in an attempted burglary in 1999, he was 54 at the time and was stabbed several times during the break-in. The attack only ended when George Harrison's wife knocked the intruder out of consciousness with an oil lamp. The attacker was then later found not guilty of attempted murder citing reasons of insanity and was sent to a psychiatric hospital, but was released in 2002. George Harrison then took the initiative to put up some razor wire fencing to deter any trespassers. The Beatles star had played in Vienna the day previous to the raid, which can be seen on CCTV, but he was determined not to let the burglary prevent him from participating in the UK leg of his worldwide tour which has seen him go to Canada, the USA, Japan and most recently Europe. Sir Paul performed on Liverpool on Wednesday night and will play in London on Sunday. There are always going to be those crazy people out there. It's just a given, being in the world we're in now. I personally feel they should up security for both celebrities and post-celebrities, as there will most likely continue to be an on-going threat of something like this happening. But, on the other hand, these are events that can happen to every one of us, so maybe there are more measures we all can take to protect ourselves, as well.